Patrick and I just want to thank you again for you help in finding our new home. It was a pleasure to work with such a professional and FUN! Realtor. “Marilyn was always there for us when we had questions or concerns about our move to Boone County. She was always available to show us houses, even with short notice. 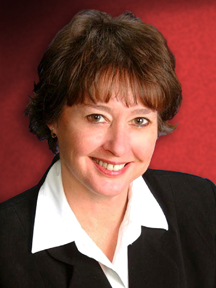 Marilyn is a great agent and we would highly recommend her”. “My husband and I were relocating from Oregon and Marilyn made sure we had listings to view so when we made our trips to KY they were productive. This was extremely important in as much as we had little time as a couple to view homes. Marilyn made sure her time available was always when we needed her. She was very very accommodating and pointed out “points of interest” as we toured neighborhoods!” We loved Marilyn-she is truly an asset to your company! We selected Marilyn Breier because she sold us the property in 2001. We were pleased with the professional way she handled that sale. When we were ready to sell it, we chose her as our agent. She is a top notch Realtor.